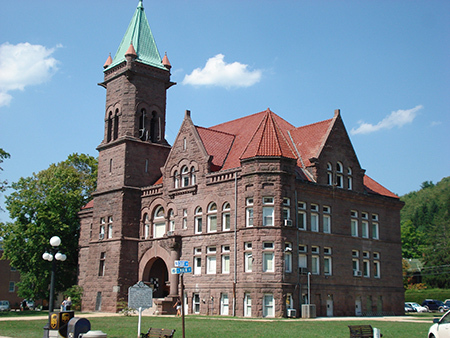 Barbour County is located in north central West Virginia, USA. 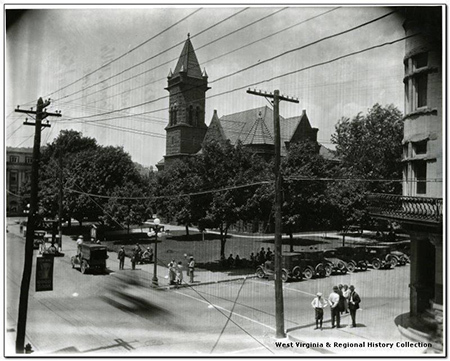 It was formed in 1843 when the region was still part of the state of Virginia. Philippi, the county seat, was chartered in 1844. Barbour County and Philippi, were named for Philip Pendleton Barbour (1783-1841), a prominent and respected United States Congressman and United States Supreme Court Associate Justice. With a population of 16,831, Barbour County offers small town and rural living at its finest in Belington, Junior, Philippi, Galloway, Century, and several dozen additional unincorporated areas. Barbour County residents may be interested to learn more about our fascinating history, including information about our brave forefathers and the early settlers who helped establish Barbour County, the intriguing history of the battles that have taken place in our area, the geology, and historical structures that can still be found in Barbour County today. Alderson-Broaddus University, an American Baptist institution, is located in the county. The AB’s Physician Assistant (PA) program is one of the oldest and best established in the world. Barbour County Courthouse in 1927. The first white settlement in present-day Barbour County was established in 1780 by Richard Talbott, his brother Cotteral, and sister Charity. At this time the region was still a part of Monongalia County, Virginia. The region had no permanent native settlements, so conflicts with Native Americans were relatively infrequent in the early days. No member of this eventually large family was ever killed in conflict with the native population. Philippi, WV, was the scene of the first land battle of the American Civil War, on June 3, 1861. The battle was later lampooned as the “Philippi Races” because of the hurried retreat by the Confederate troops encamped in the town. The battle is reenacted every June during the town’s Blue and Gray Reunion. This battle inspired more vocal protests in the western part of Virginia against secession. A few days later in Wheeling, the Wheeling Convention nullified the Virginia ordinance of secession. These events would eventually result in the separate statehood of West Virginia. West Virginia itself is unique in that it is the only state to have been specifically designated as such by a presidential proclamation (by Abraham Lincoln, on June 20, 1863). Following representatives of the western counties of Virginia declaring themselves to be the Restored Government of Virginia, West Virginia rebelled against seceding from the United States, and instead permitted themselves to secede from Virginia to form the state of West Virginia. The citizens voted overwhelmingly in favor, and the state of West Virginia was admitted as the 35th state, as West Virginia residents declared their own independence from the Confederacy. Throughout the late 19th century, the economy and infrastructure of Barbour County grew slowly, but steadily. Despite the first railway reaching Grafton, WV, by 1852, standard gauge rail did not arrive in Barbour County until the 1890s. In 1990, private land developers approached citizens of Barbour County with a proposal to dump out-of-state garbage into a county landfill. Four to Six million dollars per year in host fees were offered to the county to allow the developers to deliver up to 200,000 tons of garbage per month. Notably, Barbour County’s annual budget at the time was approximately one million dollars. County voters rejected the offer. We have pride in the integrity of our land and our people. The economy of Barbour County, WV currently involves a diverse workforce including farming, fishing, forestry, business and financial operations, transportation, tourism, life, physical, and social sciences, healthcare and social services support, construction and extraction, installation, maintenance, and repair, personal care services, food service, management, education and training, architecture, and engineering. We have much to be proud of. Our citizens are our greatest resource. Residents who are interested in serving as county volunteers to help keep our communities great should contact the Barbour County Commission at: (304) 457-4339.